This mansion built in 1861 for Hugh Montagu Allan is used as a psychiatric hospital since 1943. 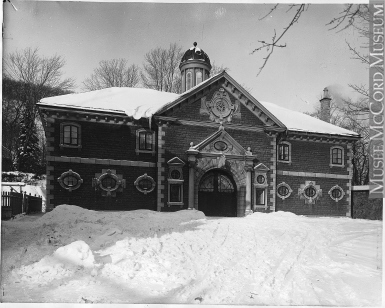 It was renamed the Allan Memorial Institute in 1943. 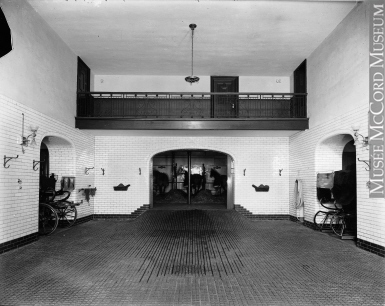 To serve the present needs as a psychiatric hospital and research institute, the interior of the building has been altered and many additions have been made to the exterior. 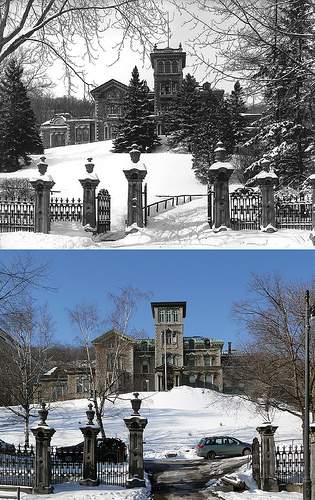 Origin of the name : Sir Hugh Allan fÎt ériger une résidence victorienne en pierre calcaire grise de Montréal entre 1861 et 1863, inspirée de la Renaissance italienne et apparente à la villa toscane. Allan lui donna le nom de Ravenscrag (littéralement : rocher escarpé au dessus d’un ravin) en souvenir du château du même nom construit sur une falaise, dans le Ayrshire, en Écosse. Propriété de Lord Lorne, ce château l’avait vivement impressionné, et en découvrant la similitude de l’emplacement choisi à Montréal avec celui du Ayrshire, Allan décida de donner le même nom à sa future résidence. The name "Allancroft" is attributed to being one of his summer residences in Beaconsfield Quebec. The other being "Montrose" in Cacouna Quebec. 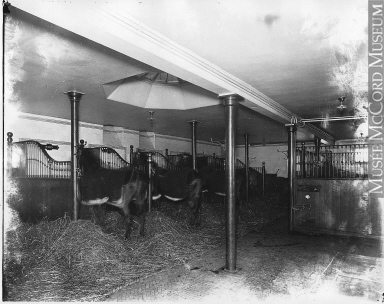 The Dairy Farmes belonging to agricultural colleges, businessmen or gentlemen farmers were often held up as models for ordinary farmers and they epitomized the reformers agricultural idea. 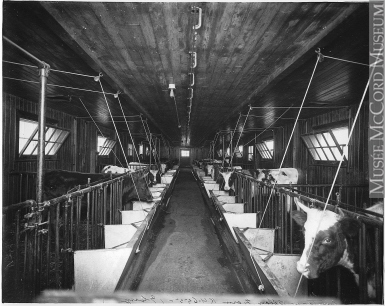 In 1914 most of the farms supplying milk for the Montreal market had very little in common with this model farm. 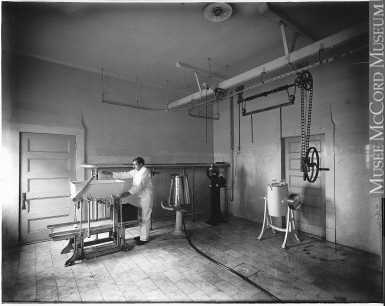 During this un-controlled time of milk production farmers like Sir Allan were lobbying for more sanitary control and gouvernement inspection wich didn't come about till approximately 1926. Sir Allan's city residence was Ravenscrag 505 Pine Ave. Since 1940, it's called the Allan Memorial Hospital. In 1928-29, 505 Pine Ave was renumbered for 1025 Pine Ave.
Should we say that "Ravenscrag" was Allan's main residence in Montreal. "Montrose" was another of his summer residence in Cacouna QC and "Allancroft" was another of his summer residence where was located the Dairy Farm in Beaconsfield area ?